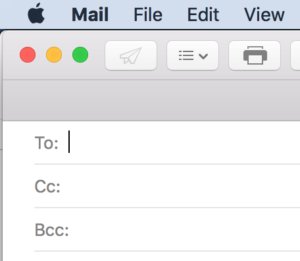 Would you like to be able to use the blind carbon copy (Bcc) feature in Apple Mail? It is easy to enable this feature, but not necessarily obvious how to do so. 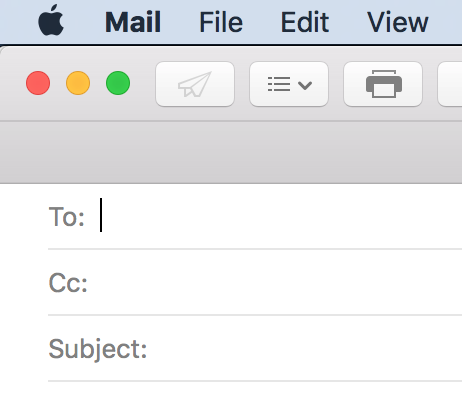 By default, when you create a new email message in Mail, it only displays lines named To, CC and Subject. 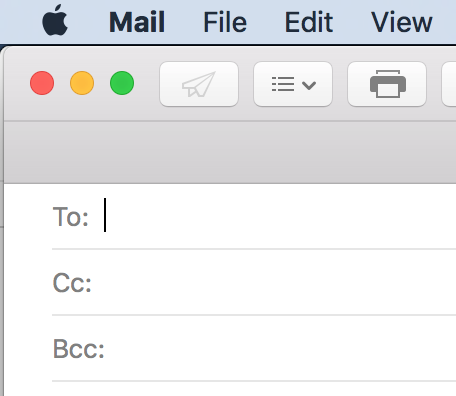 To add a Bcc line, click on the View menu and select Bcc Address Field. The two images below depict both the default configuration and how things look once Bcc has been enabled. 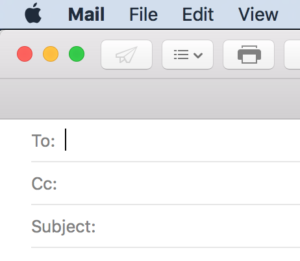 Read more about add, Apple, Bcc, Mail.